While the boil water notice is in place, please ensure you stay well hydrated. In this heat, drinking water is especially important - so we encourage you to have a plentiful supply of clean drinking water close at hand for you and your family. 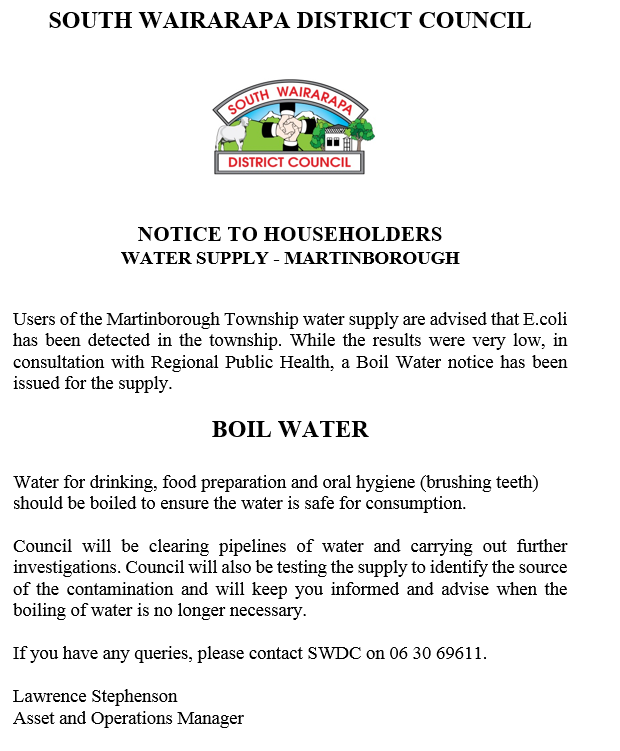 There will be fresh water available at the Martinborough Fair and at the bullride over the weekend.